CEDAR RAPIDS, Iowa (September 12, 2018)–Kirkwood Community College will host the 32nd Annual Fire School, September 22–23, in collaboration with the Central Iowa Training Association (CITA). 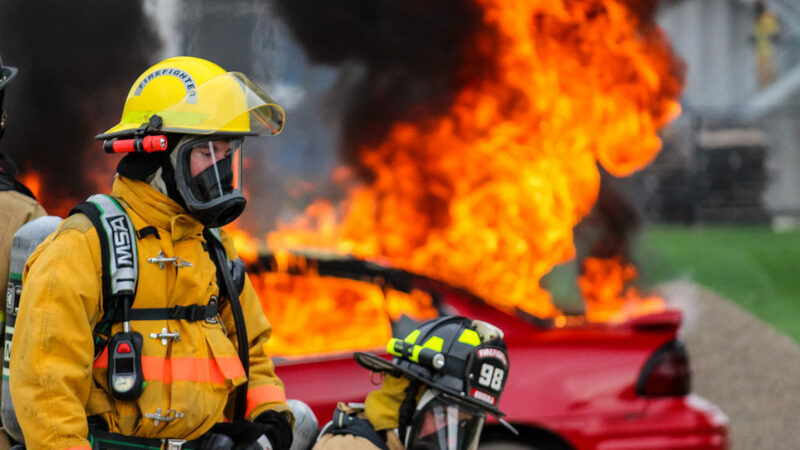 One of the largest fire schools in the state, the CITA-Kirkwood school trains firefighters and rescue service personnel from all over Iowa and other nearby states. The school offers a variety of one-day and two-day courses covering everything from tactical decision making and firefighter rehabilitation at an emergency scene, to the use of laughter and humor while caring for patients in EMS or health care settings. Participants learn how to handle high-stress situations while staying up-to-date on the technical aspects of firefighting as well. This year, various manufacturers and dealers will be on hand to assist with the fire school and answer participant’s questions. A social hour with door prizes, vendor demonstrations and hors d’oeuvres will be held in the Johnson Hall gymnasium from 3:30-6 p.m. Saturday. Lunch will be provided in the Vendor Hall area. Coffee and donuts will be provided for all participants on Saturday morning as well. Class sizes are limited and pre-registration is required. To register, visit www.kirkwood.edu/fireschool, or call 800-332-8833.